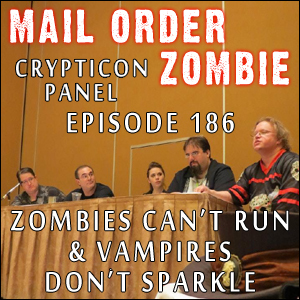 The audio from the panel is included as part of an episode of a podcast called Mail Order Zombie. I haven’t had a chance to listen to the whole episode yet, but the audio from the panel starts at 54 minutes and 13 seconds in. This was a damn entertaining panel to be on — everyone on it was sharp, witty, and passionate and well-informed about the genre. (And yes, I am humbly including myself in that description.) Thought-provoking and funny stuff. 1. What? Oh, come on, it’s not like you never Google yourself. There’s nothing wrong with it, so long as you do it in private and wash your hands afterwards.